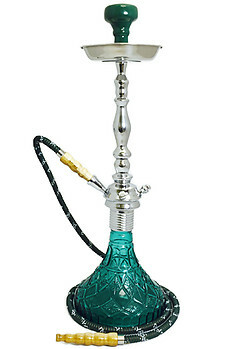 The Econo Mya Diablo is an intricately detailed hookah with a sleek, regal feel and modern design in the glass vase and continues through the metal stem.The vase is also available in multiple color choices. It is perfectly both daily and lounge use or even occasional use. The Econo Mya Diablo may easily be converted into a 2, 3, or 4 hose model hookah with help from Myas stem adapters. 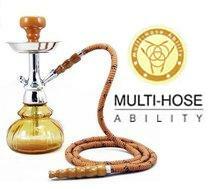 Sharing this hookah with a friend is made easy thanks to Myas Auto Seal System, which eliminates the need for flip caps or rubber stoppers while multiple people are smoking the hookah.